Juhtumisi: Random thoughts: Nordic Business Forum 2015. Day 1. 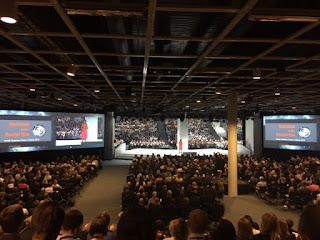 Random thoughts: Nordic Business Forum 2015. Day 1. I work in a company of 2700 people. There were tickets bought for eight people. One of them could not come so our CEO offered the forum pass to me. It is better to get the ticket to Nordic Business Forum as second choice than to get no ticket at all. I live in Estonia. I had to get up before six in the morning to catch the ferry to Helsinki. While still home in my bathroom I discovered we have no spare tooth paste in the house to take with you while travelling. After brief moment of consideration I took the only tube. I expected angry call from my husband for him having to use the children killersweet tooth paste latest by 9 o'clock. I'm writing this past midnight. There has still been no call about the toothbrush. Yes, you can make conclusions about that. On the ferry to Helsinki we saw our former HR manager. She is in the pharmacy business now. Somebody asked if there would be some medicine that she would recommend us. She took out a pink box with your life saver written on of. Inside there was a pill of Xanax. Four of us recognized the pill. Yes, you can start to make conclusions about that. I asked our former HR manager if it allowed to cross border with that. I guess this is the mantra that the people in the pharmaceuticals repeat about all the stuff they sell in a drug store. The lady from the forum checkin asked me if it was my first year there. I said it is. “Are you exited?” she asked then. “Why, yes,” was my answer. Then she wanted to know if she could shorten our company name for my name tag. I said no problem. I was the only one of us eight who ended up with not full company name printed on the tag. Can you start to make conclusions about that? I´m not sure. Quote of the speech: If you feel lonely at the top you are not a leader. You are a hiker. 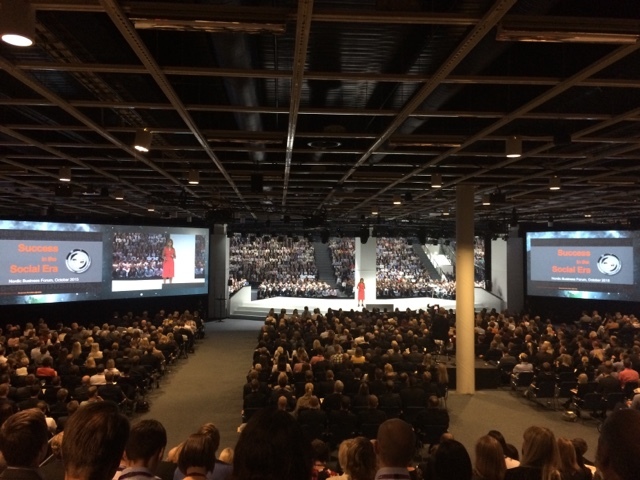 The question that I didn`t manage to hashtag #NBForum2015: John, you tell that one can grow into a leader and give tool for it. Can one grow into a Nordic Forum speaker and what is the tool from it? Conclusion from the speech: If you do it with charisma it doesn`t matter what you are saying. The more value if you even have point in what you are saying on top of the charisma thing. The inspiration from the speech: There was this homeless teenager telling something interesting that for some reason ended up in social media with the French president . This was picked up by the Harvard University that invited him to write deeper about it. The guy is now in his 3rd year in Harvard. The social media can lift you up in tremendous speed if you say the right things there. These are the success stories that people tell. You can go down at least the same speed if you say the wrong things in the social media. This is seldom if at all spoken about. The only thing I can remember from the speech: Even if the individual opinion expressed in a group is a wrong opinion, it will raise the analytical thinking in the group for 30%. I`m sorry, it was not the speech. It was me getting tired and focusing on the digestion of those fantastic Karjala pies I had during the refreshment break. Guy, here`s a bozo for you: you know you said that you should not worry when your product reached the wrong target group. Sometimes you still should worry when it happens. There is a photo circulating in the social media of a lady in ER. 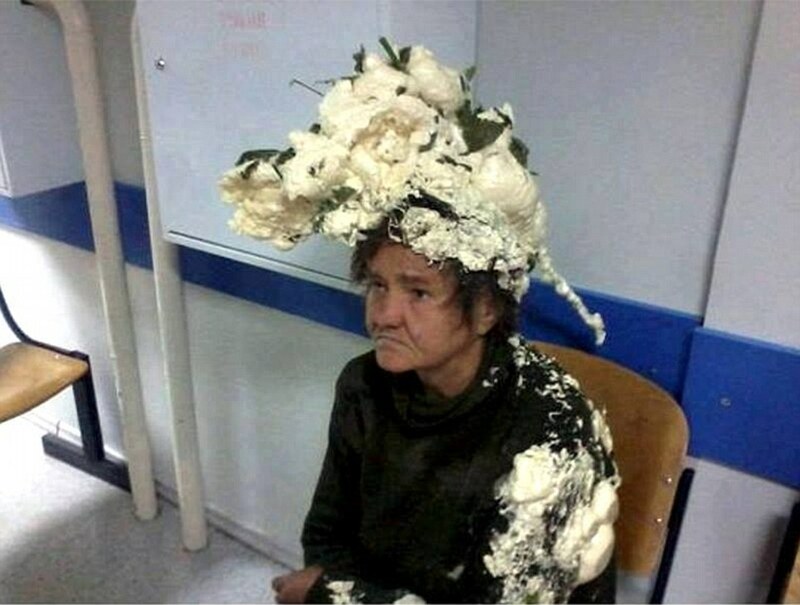 She has mixed up construction foam Makroflex with hair care product. Highlight and inspiration of day? Landfill Harmonic! The example to examine books in different open libraries is decreasing on the planet because of internet preparing structure. As, each schoolkid get https://www.assignmentman.co.uk/ hang of captivating books shape their mobiles with the help of web and not go towards the libraries.